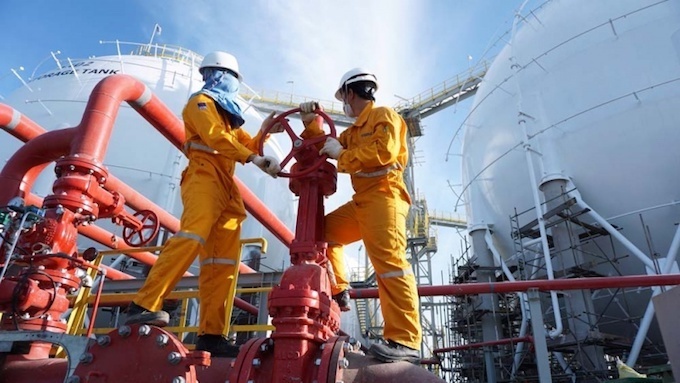 PetroVietnam Gas Corporation, Vietnam's biggest listed energy firm, posted first half net revenues of VND37.5 trillion ($1.65 billion), equal to 66 percent of its annual target. Its pre-tax profit jumped to VND6.6 trillion ($290 million), representing 82 percent of the year’s target. Le Nhu Linh, Chairman of the Ho Chi Minh-based company, also known as PV Gas, said the company is undertaking 24 projects this year, including pipelines that transport natural gas directly to consumers. PV GAS stock closed up 5.75 percent at VND92,000 per share on the southern stock exchange yesterday.